The 09-24-2018 400 -- due outta Wachusett at 0450 -- hadn't even lit the 333 WLs by 0500. There had been discussions among the crew, and a few later from the parking lot, 1130 was seen and more discussions heard about repeated hits and calling Mechanical. The 400 Service Alert had been scrubbed when I got a 0650 chance to look, but 491 -- 400's equipment? -- had a 5-10 delay outta BON. There was also a 5-10 outta Wachusett for 404. 402 was outta Wachusett on time at 0545 with the 1057, ditto through the 40.2 on 2 at 0607. 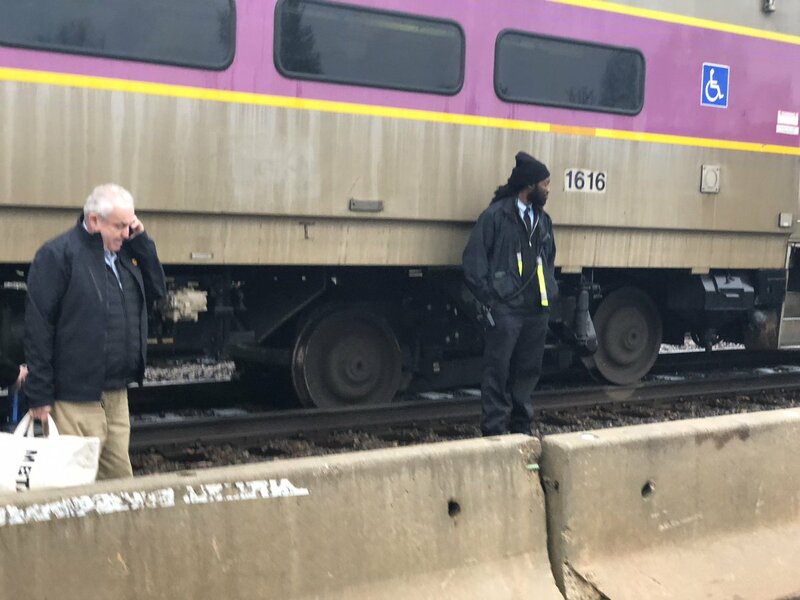 Update: Rockport Line Train 106 (7:53 am from Salem) is now operating 10-15 minutes late between Beverly and North Station due to a mechanical issue. Did they start to give alerts based where the train is located now? Last night 423 died in Weston. 425 tied on and the double draft ran to Wachusett and turned as 428. Then the double draft 428 died at Littleton. 432 tied on and one working locomotive on the tail shoved 15 cars and 2 dead engines to Boston as a triple draft. BostonUrbEx wrote: Last night 423 died in Weston. 425 tied on and the double draft ran to Wachusett and turned as 428. Then the double draft 428 died at Littleton. 432 tied on and one working locomotive on the tail shoved 15 cars and 2 dead engines to Boston as a triple draft. 900 died outbound from Readville this morning, and was subsequently cancelled. Inbound PVD trains made extra stops inbound to pick up pax, and were delayed due to the disabled set. I believe every engine involved was an F40PH. I do not recall the numbers. All lines are experiencing delays due to "Slippery Rails". Probably because of wet leaves on the tracks. Fitchburg line is a mess this morning. My train, 406 is about 40 minutes late. It was stuck at Ayer for about half an hour due to mechanical issues. This morning, 492 was the unfortunate victim of a successful suicide attempt at the Rt 20 bridge in Waltham. 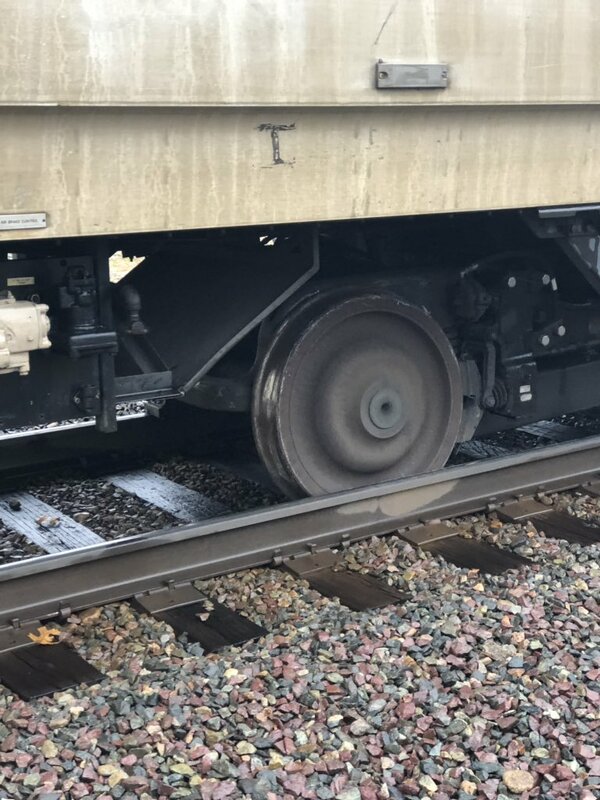 404 derailed before Waverly this morning, making 406 (my train) 10 or so minutes late. I know someone who was on 403 this morning. He got on at Belmont and he said the train was stopped at the station for over 20 minutes waiting for the situation ahead to clear up. He ended up getting off and getting a ride from someone instead. Sounded like a mess.